We service all makes and models of sewing machines and sergers. 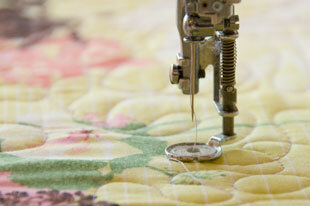 A general service every one to two years is recommended to keep your machine in tip top shape for quality sewing. Remove the thread (top and bottom). Put in a NEW needle. Check your instruction book if your not sure about threading or how the needle goes in. These are the first things we check here and it will save you time if that’s the problem!